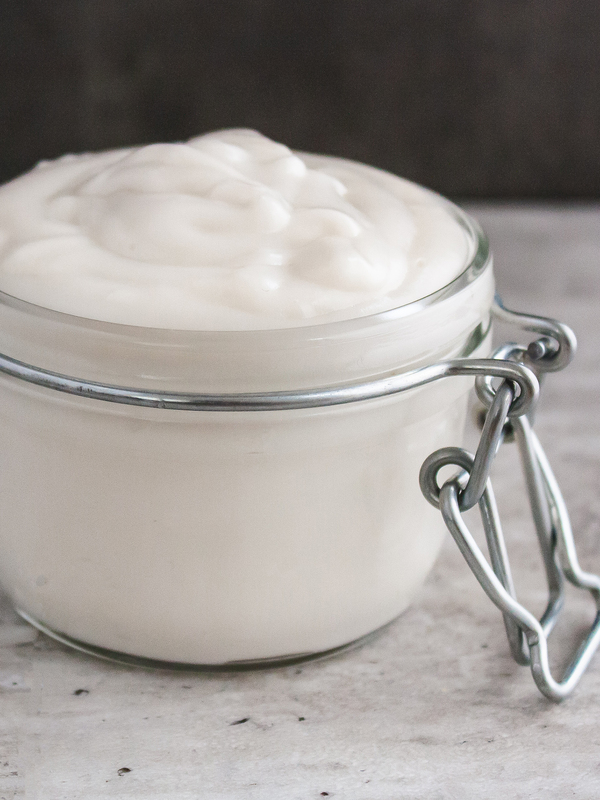 Good news vegans and lactose intolerants, you can make coconut cream from coconut milk and use it to prepare your favourite dairy-free dessert recipe! 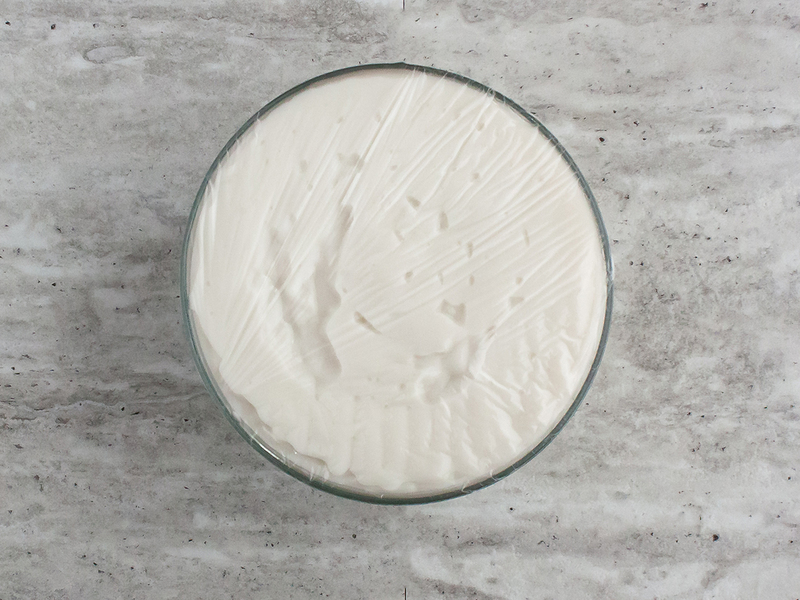 In fact, this super easy vegan coconut cream is made with just three ingredients: canned coconut milk, sugar, and potato starch to thicken coconut milk into cream. That&apos;s it, simple isn&apos;t ? To get the best results, make sure you use full-fat canned coconut milk with water content as low as possible. In fact, the amount of coconut extract should be of at least 50%, the higher the better. 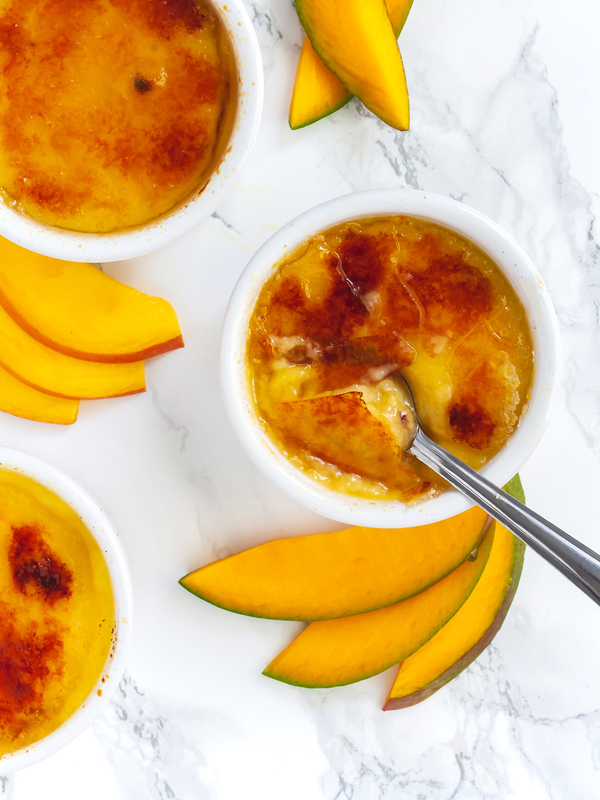 You can store the cream in the fridge in an airtight container for up to 5 days and use it as filling in pastries, cream puffs, doughnuts, and pies or as base in creme brulee . The default amount of the ingredients in this recipe yields about 500g of coconut cream, which is enough for filling a tart or a cake of four servings. 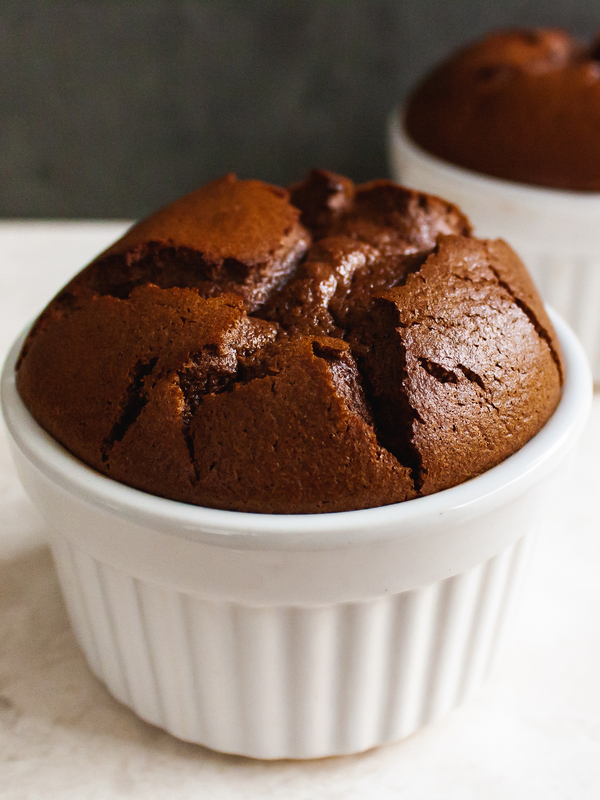 If you need to bake a dessert for more people, just increase the amount of the ingredients using the + button in the tab below and we&apos;ll do the math for you! 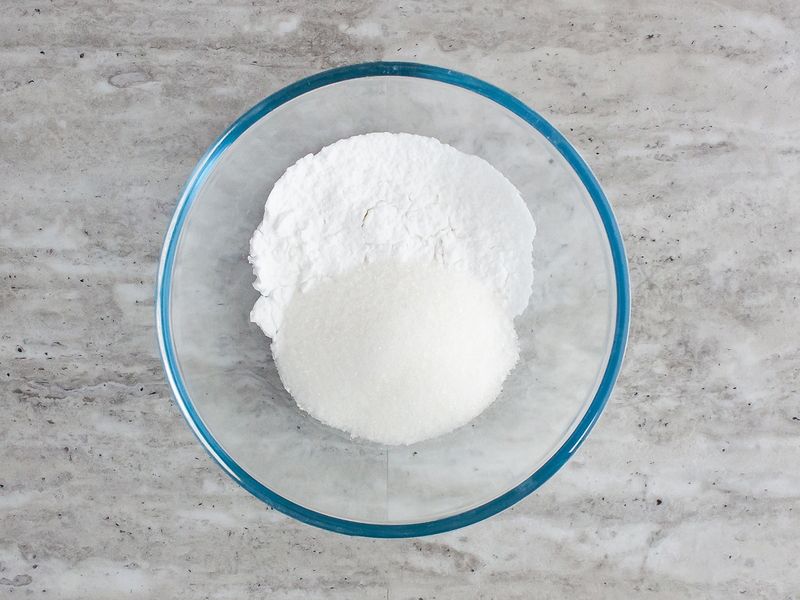 To prepare this homemade coconut cream, sift the potato starch in a mixing bowl. Then, add white sugar and sifted icing sugar. Mix well with a spoon to combine all the ingredients. 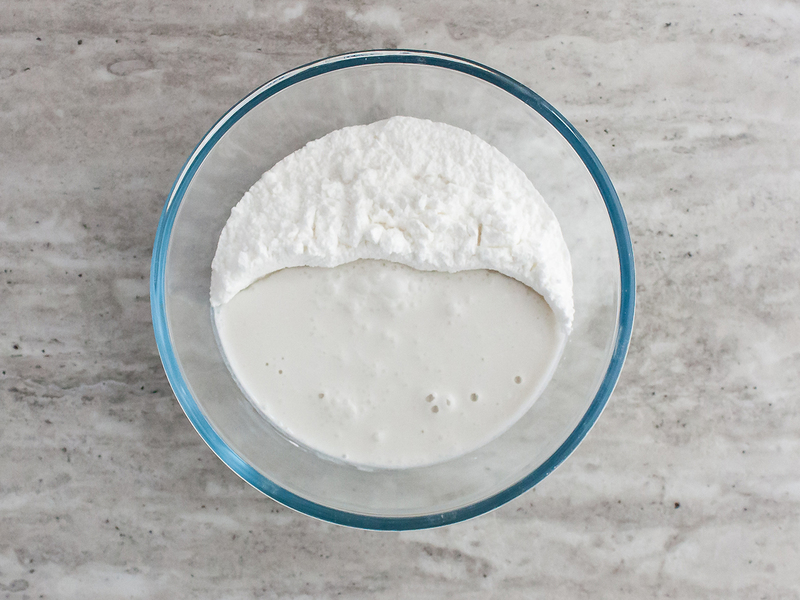 Use the coconut milk can at room temperature and pour the whole content in the bowl. A typical full-fat coconut milk can can is 400ml which yields four servings. The cream will be smoother and softer, good for tart fillings. Cool down the coconut milk by placing the can in the fridge. This way, when you open it you’ll see that the fatty section has risen to the top leaving the water at the bottom. Add both the creamy section and half of the water to the starch and sugar bowl. Discard the remaining water or keep it for other recipes. The cream will be more jelly-like and thick, good for layer cakes. Once you have incorporated the coconut milk into the starch and sugar using a whisk, transfer the mixture into a pot and turn the heat on. Keep whisking while the milk warms up and as soon as you notice that the cream starts to thicken lower the heat a bit. It&apos;s important you always keep stirring the coconut cream to avoid lumps or that is sticks to the bottom of the pan and burns. It should take around 10 minutes for the milk to warm up and then thicken into a cream. The longer you keep the coconut milk on the heat, the denser the cream will become as the starch cooks. 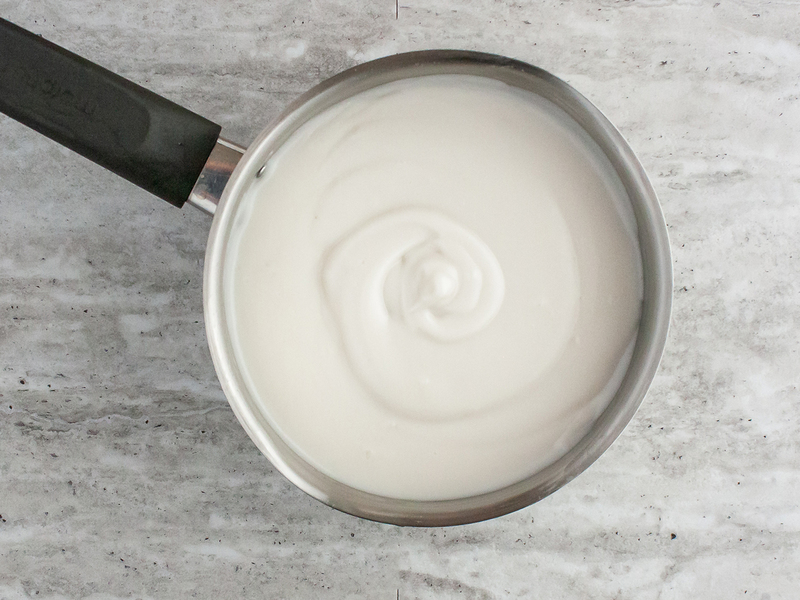 Once the cream is smooth, thick, glossy, and has a yogurt-like consistency, remove the pan from the heat. Transfer the coconut cream into a clean bowl and cover with cling film. Make sure you fill the bowl to the top and that the film adheres to the surface of the cream. Place in the fridge and allow cooling for at least 2 hours. 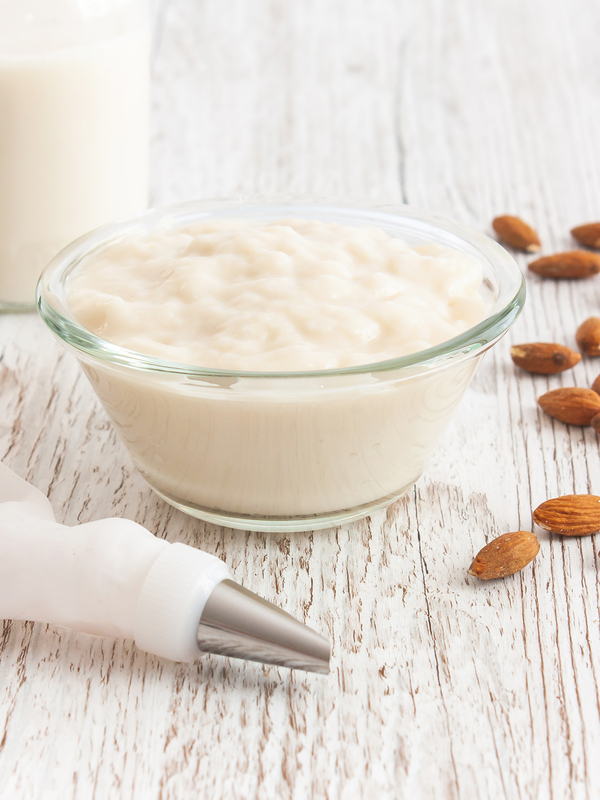 Your vegan coconut cream is ready to prepare your next delicious dessert! Try to add vanilla extract or lime juice for extra flavour. If desired, you can substitute white sugar with maple syrup or honey, but adjust the dose according to taste.